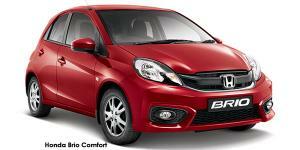 The Honda Brio, available at Mekor Honda Claremont, is small in size but sporty in appearance. 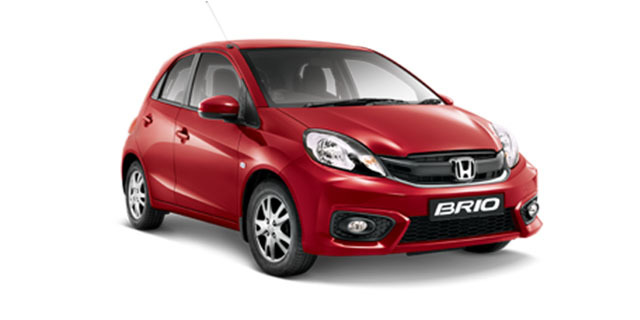 The front of the Honda Brio features a wide stance, enabling smooth and stable driving while the rear features a light-weight glass hatch and stylish triangular tail-lights. This fuel efficient 1.2L i-VTEC engine has either a 5-speed automatic or manual transmission and several performance and safety features. Visit Mekor Honda at Mekor Honda Claremont for Cape Town Southern Suburbs to get your hands on the Honda Brio and experience enjoyable driving at an affordable price.